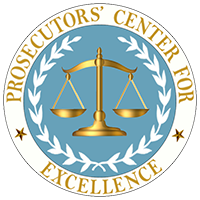 WASHINGTON, DC – February 8, 2016 – On February 4, the Prosecutors’ Center for Excellence (PCE) led senior prosecutors from 22 states in a National Meeting of Statewide Best Practices Committees to discuss the diverse and numerous accomplishments of committees throughout the country. Best Practices Committees are non-partisan bodies of prosecutors that include elected and senior prosecutors from urban, suburban, and rural districts throughout a state. The committees serve as think tanks that gather, disseminate, and examine information on the latest developments in criminal justice and community safety.